﻿"I love my dirty carpet,"
St. George's Cleanest Carpets is the premiere carpet cleaning business in Southern Utah. And let's face it, Southern Utah is absolutely beautiful! The breathtaking views, the gorgeous weather, the amazing adventures you can have....and all of it right here in our backyard! But living in a desert means red dirt, dust, and allergens and your carpet is paying the price. We specialize in making sure the great outdoors, stay outdoors so your carpets can remain clean! Our carpet cleaning technicians are well trained, licensed, and insured. Beyond that, they are just plain old clean and professional. Some have even called them "clean cleaners". With more than 20 years of experience, you can rely on St. George's Cleanest Carpets to get your carpet, upholstery, tile, grout, and pet messes clean the first time. As a matter of fact, we guarantee it. If you are unsatisfied for any reason we'll give you your money back. No questions asked. No hassle. And let's face it, just like any other business, carpet cleaning isn't just about getting your carpet clean. It's about customer service. Let us prove to you that we are more than your average carpet cleaner. Whether you live in the greater St. George area or in one of the outlying areas including, but not limited to, Ivins, Santa Clara, Bloomington, Washington, or Hurricane we'd love to come to your home and leave your carpet looking newer, fresher, and cleaner than it has in a long time. If you don't see your town listed, please contact us at (435) 265-3287 to see if we can come to your home. Fill in the form on the right to receive a fast, FREE, estimate from our carpet cleaning professionals today. Carpet Cleaning is good for your health! Cost!! We will meet or beat our competitors prices. No risk, money back, guarantee! Our carpet cleaning process is quick, safe, and effective. Not only will your carpet be squeaky clean, but it will be dry in less than an hour! Check out our carpet cleaning process in action! Professional and Trustworthy Carpet Cleaning...Guaranteed! We deal our business with honesty and respect. Not only do we treat our clients well but our competition too. Maybe you've come across another carpet cleaning site that puts down their competition. That's not how we roll. On the contrary, we are driven by competition! It drives us to provide the very best service we possibly can. Whether you are getting your carpets cleaned once a quarter, a regular weekly cleaning, or just a spot removed, we give the best and don't quit until our customers are delighted with our work. We want to be your guys when you google "carpet cleaner in St. George, Utah" . Chances are if you're reading this, you aren't satisfied with how clean your carpet or tile look. And in the business world, a first impression is everything. So ask yourself, "What first impression is my carpet leaving for my customers?" If your answer is, "Not good" we can come to your place of business and give you a free estimate. Our technicians are efficient and thorough. We'll be in and out in no time at all leaving your carpet and tile looking like new. Cleaner carpet and tile means more comfortable employees and happier customers. We know how much you've invested in your business. Let us help you protect that investment! First of all, if you are using any type of chemical or even natural carpet cleaning agents, make sure you test it on your carpet to make sure your carpet won't discolor. We recommend testing the carpet inside of your closet. Vacuum the area well, then dampen a cloth with the cleaning agent you are going to use. Let the cloth sit on the carpet for about an hour, then blot the spot dry with a clean, dry, white cloth. If the cloth is stained with your carpet's dyes, repeat the test until you find an agent that won't bring up the carpet's dye. Protect your furniture! Ask a friend to help you move all the furniture from the carpet area you will be cleaning. Before you start the cleaning, vacuum the area thoroughly. If you are going to rent a wet extraction carpet cleaner, make sure you allow the rug to dry completely! Usually 24 hours. This will help you avoid mold, mildew, and unpleasant odors! It will also help you avoid damaging the floor beneath your carpet. If you are renting a machine make sure to follow the instructions carefully when you add the detergent. Adding too much detergent will not clean your carpet better! As a matter of fact, not following the diluting instructions for the detergents will probably make your carpet more susceptible to dirt build up. Too much detergent will leave a sticky residue on your carpets that goes deep down to the fibers. This causes soil to build up at a faster rate. Cleaning your carpets is important but our company is doing its part to keep our planet healthy and beautiful, too. The products we use are , non-toxic, safe to use around children and pets, and biodegradable (right down to the containers we use to store our carpet cleaning agents). We use a mineral based solution that is so safe you could drink it. We don't recommend it, but it's nice to know that that is how safe it is. It’s a USDA approved all-natural cleaner that’s 100% safe for pets and children. Absolutely no soap, which means no soapy residue. It’s completely odorless and non-allergenic, keeping customers with sensitivities to smells comfortable. Great at tackling pet stains, oil based stains, and dirt. Being eco-friendly isn't just good for the Mother Nature, but for you and me as well. Your kids love to roll around on the carpet and you and your pet probably get in a good amount of "rug time" playing. Cleaning Green means you don't have to deal with harsh fumes, burning eyes, or itchy skin. Here's something else to consider: Cleaning Green means saving some green too! 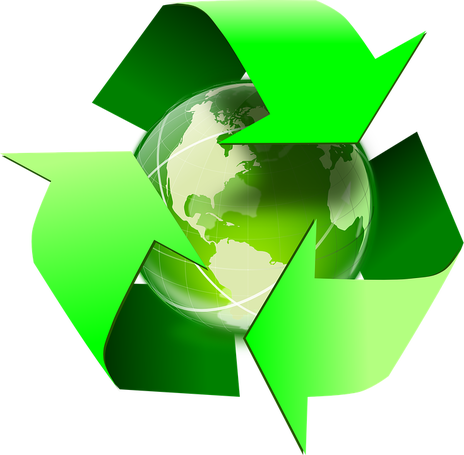 Because so much of what we use to clean your carpets is recyclable, we don't have to spend as much on our products. Those savings get passed on to you. Also, because our system leaves less residue, you won't have to hire a professional cleaner as often That's a win-win in our book!